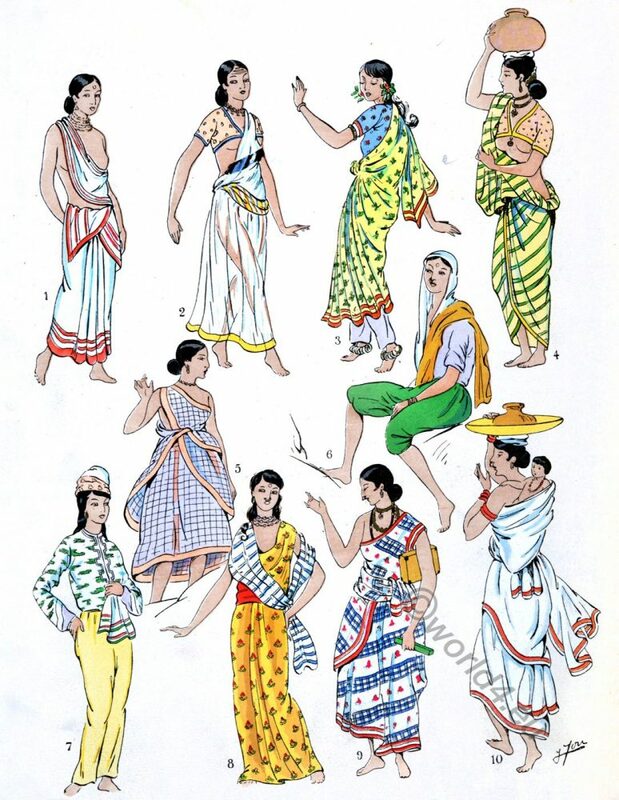 Traditional India costumes and clothing. Design for a shawl, about 1800. Fac-simile of a portion of a native Indian drawing. Design for a shawl. 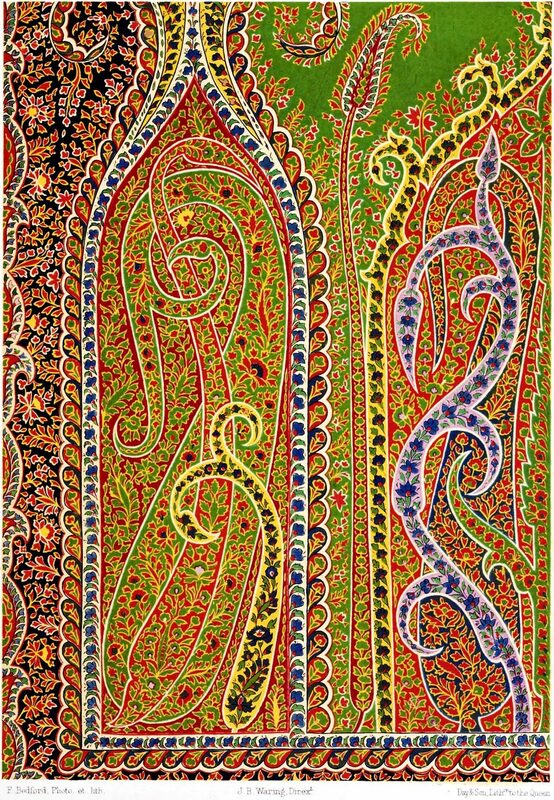 This entry was posted in 1800, 19th Century, Asia, Fabric, India and tagged Textile design, Traditional India costumes on 4/13/19 by world4. Plate 3. Dresses and Garments. The Feminine Costume of the World. Dresses. Part VII. India. Plate 3. This entry was posted in 1926, Asia, India and tagged Paul Louis de Giafferri, Traditional India costumes on 5/1/18 by world4. India. Plate 7. 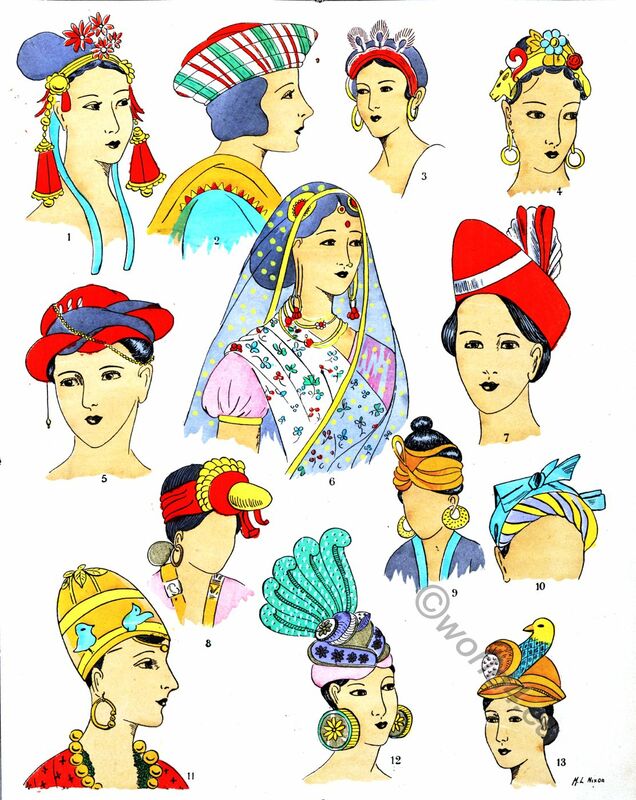 Coiffures, Hats, Head-dresses. The Feminin Costume of the World. Coiffures, Hats, Head-dresses. Part VII. India. Plate 7. This entry was posted in 1926, Afghanistan, Asia, Hairstyle, Hat, India and tagged Paul Louis de Giafferri, Traditional India costumes on 5/1/18 by world4. Bukyan. 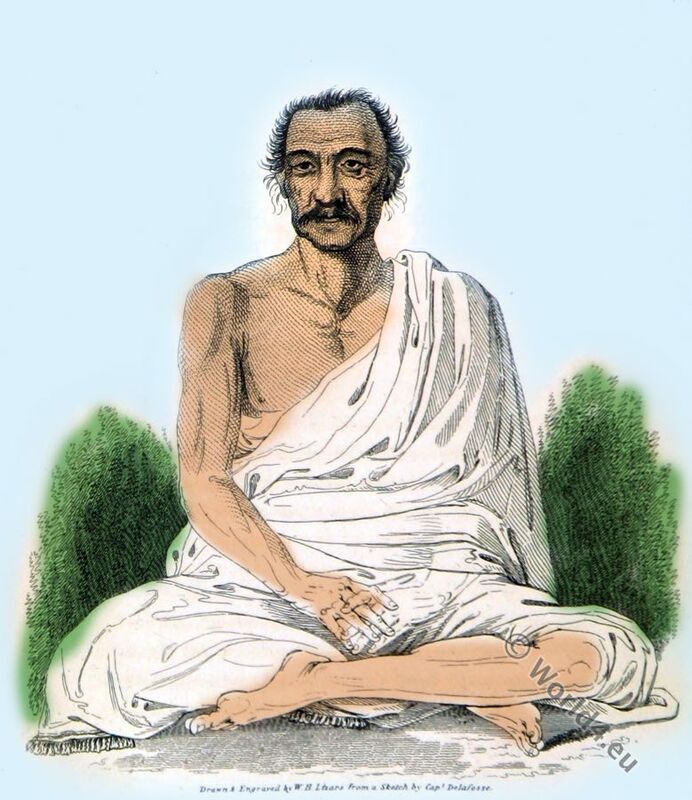 An Ida or Brahmin of Bali. 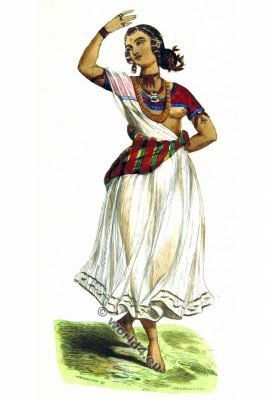 This entry was posted in 1820, 19th Century, Asia, Ecclesiastical, Java, Traditional and tagged Ecclesiastical Dress, Traditional India costumes on 10/11/16 by world4. Muttuck, Asam. Male and Female. 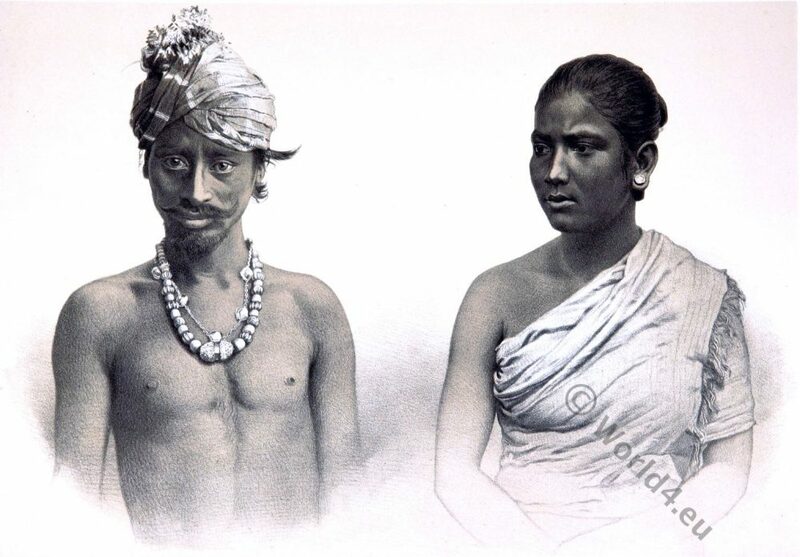 Male and Female from Muttuck, Asam. 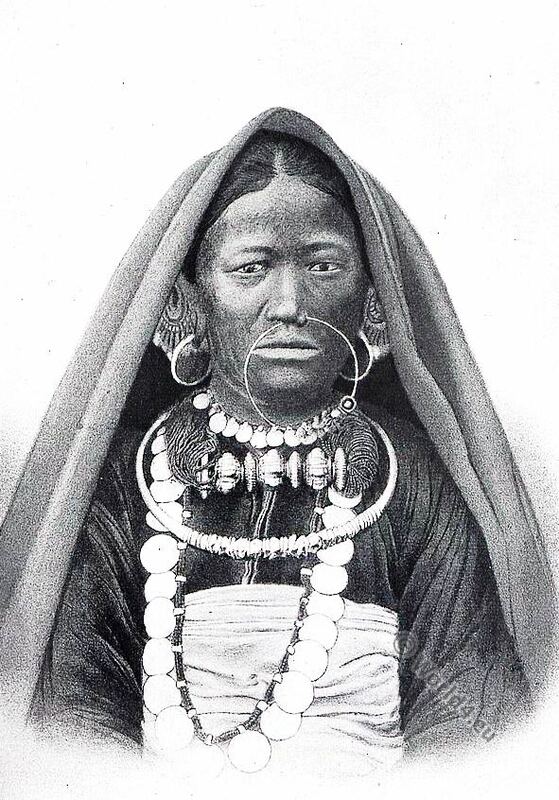 This entry was posted in 1872, 19th Century, Asia, India, Traditional and tagged Traditional India costumes, Tribal Costumes on 8/21/16 by world4. Mizhu or Mizu, Mishmis. 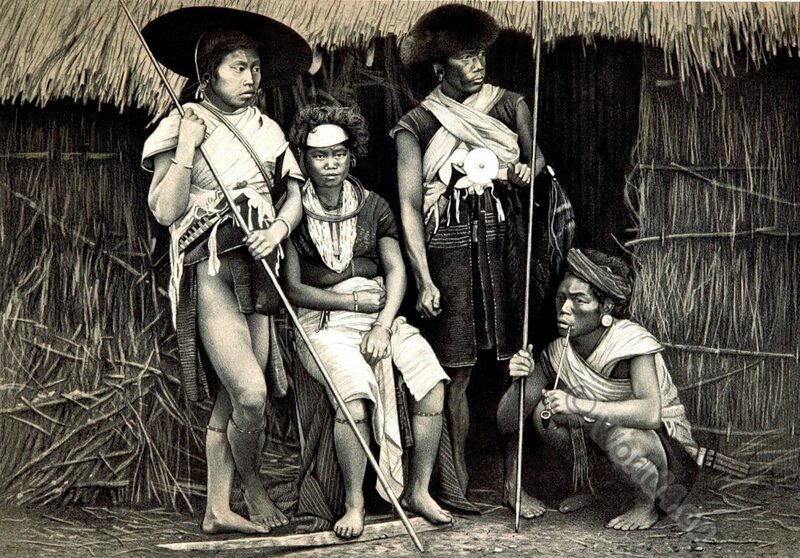 Bengal India Tribe. Group of Mizhu or Mizu Mishmis. This entry was posted in 1874, 19th Century, Asia, India, Traditional and tagged Traditional India costumes, Tribal Costumes on 8/6/16 by world4. A Group of Sutars, Carpenters, Bengal. Mongolo-Dravidian Type. 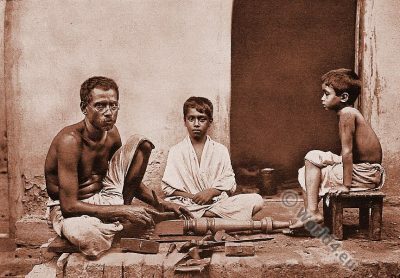 A Group of Sutars, Carpenters, Bengal. 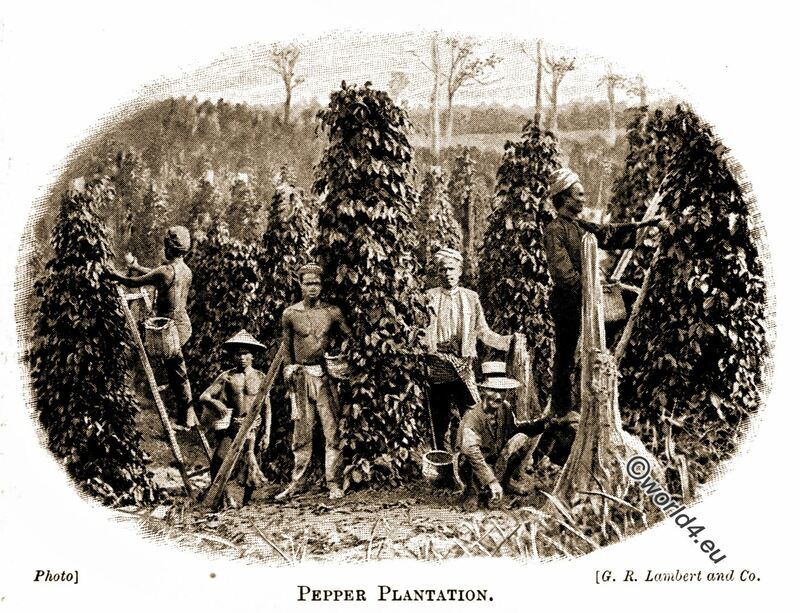 This entry was posted in 1915, 20th Century, Asia, India, Traditional and tagged Pictures of Indian Natives, Traditional India costumes on 7/30/16 by world4. This entry was posted in 1915, 20th Century, Asia, India, Traditional and tagged Traditional India costumes, Tribal Costumes on 7/7/16 by world4. This entry was posted in 1847, 19th Century, Asia, India and tagged Dance costumes, Traditional India costumes on 5/11/16 by world4. 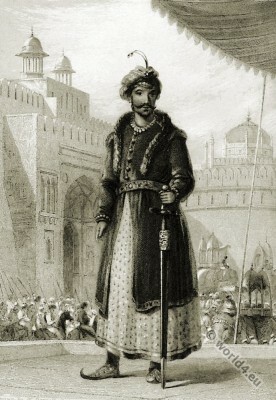 Muhammad Humayun second ruler of the Mughal Empire. Nasir ud din Muhammad Humayun (Persian نصیر الدین محمد همایون, 1508-1556) was the second ruler of the Mughal Empire of India and ruled until 1540 and 1530 of from 1555 until 1556. This entry was posted in 16th Century, Asia, India, Nobility and tagged The Oriental Annual, Traditional India costumes on 8/24/15 by world4.